This latest edition is an expanded and up-to-date version of the classic operative manual for surgical and orthodontic consultants, trainees and theatre and ward staff. It includes the completely new sections of 'Non-Surgical Facial Aesthetics' and the 'Application of 3-Dimensional Scanning for Virtual Surgical Planning (VSP), more commonly known as Computer-Aided Surgical Simulation (CASS)'. Although CASS may supercede the multistage orthognathic planning process this traditional means of record transfer has been retained as an essential clinical skill.The principal deformity sections are the 'Secondary Management of Clefts', the 'Role of Distraction Osteogenesis', 'Temporomandibular Joint Ankylosis', 'Rhinoplasty', and the 'Essential Support of Nutrition for the Maxillofacial Surgery Patient'. The chapter on 'Therapeutics for Emergencies and Complications' has also been updated. 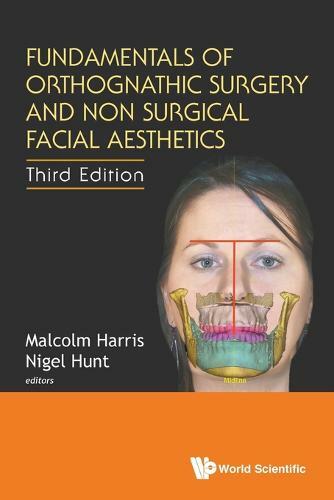 The important 'Psychopathological Aspects of Orthognathic Surgery' and the new chapter on 'Non-Surgical Facial Aesthetics' enable the recognition and management of unexpected problems by the clinician.